Sometimes we wonder that how the National Security Agency (NSA) reached such a wide range of its Surveillance operation across the world – which you can measure from several secret documents released by the former NSA contractor Edward Snowden. This hell parameter of the NSA’s operation was not reached by its agents sitting in the NSA headquarter in United States, but by its undercover agents working in foreign companies based in China, Germany, and South Korea to infiltrate and compromise foreign networks and devices, according to documents obtained by The Intercept. The latest document from the Snowden’s desk talks about a program called “physical subversion,” under which the NSA’s undercover operatives were infiltrating foreign networks to acquire sensitive data and access to systems in the global communications industry and possibly even some American firms. 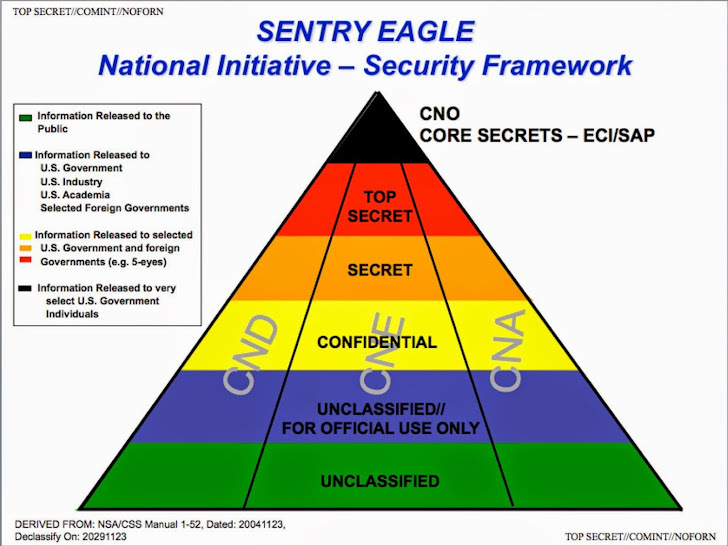 The document describes the details regarding various field activities involving computer network attacks – information which is held among the NSA’s so-called “core secrets” in a system code-named Sentry Eagle. The document is dated 2004, although there's no reason to believe that the NSA has changed its behavior since then. Previous documents largely focused on U.S. companies providing the agency with vast amounts of customer data, including phone records and email traffic and also revealed the NSA’s operations to hack into other systems or to work with private corporations in an effort to weaken their own encryption systems, but the latest report suggests the agency could be embedding operatives into foreign, as well as domestic, “commercial entities.” But, it’s unclear whether these “commercial entities” are American or foreign or both. Sentry Hawk - involves cooperation between the NSA as well as foreign and domestic companies in order to exploit computer networks. Sentry Falcon - includes the defense of computer networks. Sentry Osprey - involves the NSA cooperating with the CIA, FBI and Pentagon to hire human agents that can help give the agency access to networks. Sentry Raven - describes the NSA’s negotiations with American companies to weaken their encryption in order to give the agency easier access. Sentry Condor - includes offensive network attacks that can destroy or weaken computer systems. Sentry Owl - involves the NSA working with foreign companies to make their products susceptible to NSA data gathering. The document clearly states that any disclosure of the “secrets” can cause “exceptionally grave damage to US national security” and should not be done without an authorization from a senior intelligence official. One of the important programs in Sentry Eagle under the codename Sentry Osprey is “HUMINT,” a human intelligence asset that has the ability to conduct Signals intelligence operations (SIGINT), which involve the interception of communications and electronic signals. Both foreign as well as domestic companies could be targeted. This program is labeled as TAREX which, according to a 2012 classification guide, “conducts worldwide clandestine Signals Intelligence (SIGINT) close-access operations and overt and clandestine Human Intelligence (HUMINT) operations.” The program reportedly has a presence in South Korea, Germany, and China, with a domestic presence in Georgia, Hawaii, and Texas.